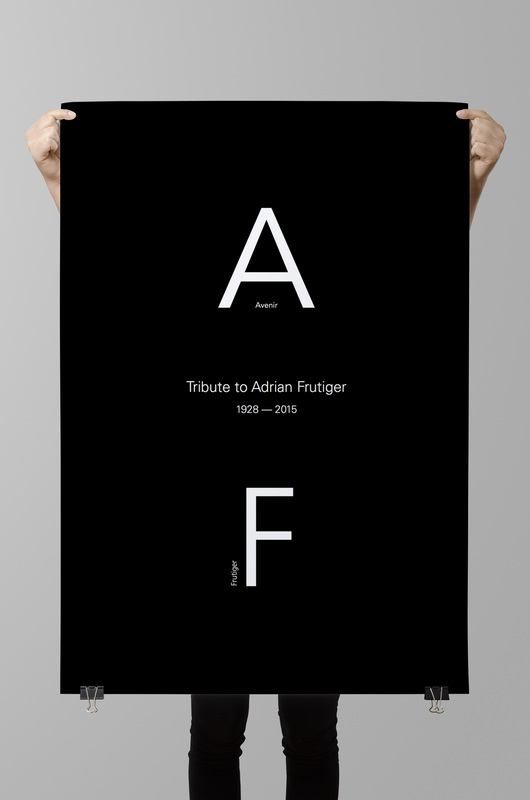 On 10 September 2015, Adrian Frutiger passed away. This man created three of our favorite and often used fonts: Avenir, Frutiger, Univers. Because his work has enriched ours, we wanted to make a tribute to him with this series of six posters. 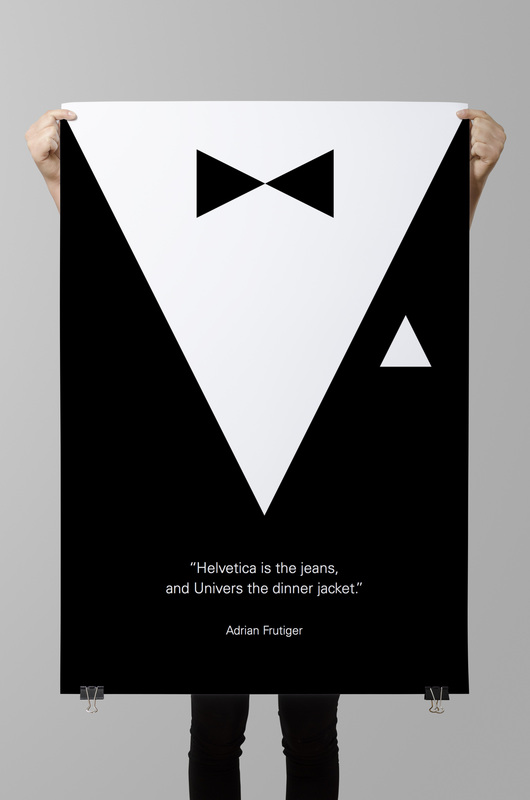 “A” is set in Avenir, “F” in Frutiger, “Tribute to Adrian Frutiger” in Univers, 3 fonts by Adrian Frutiger. A quote from Adrian Frutiger illustrated. 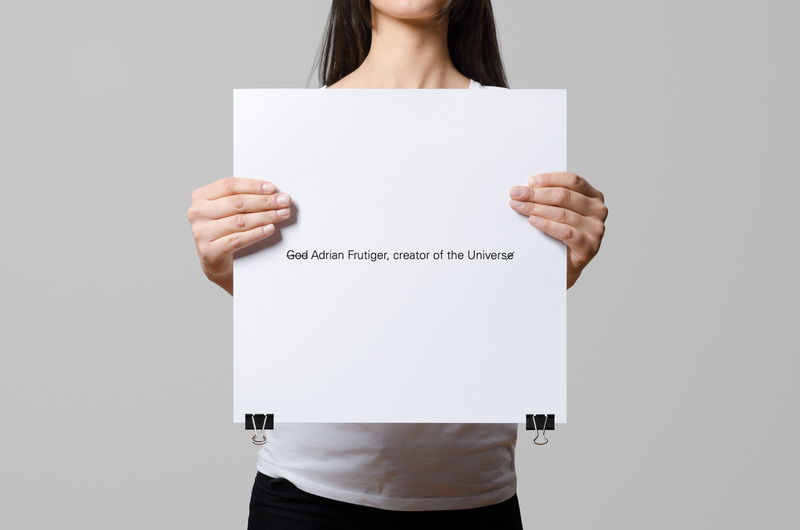 God creator of the Universe or Adrian Frutiger creator of the Univers. 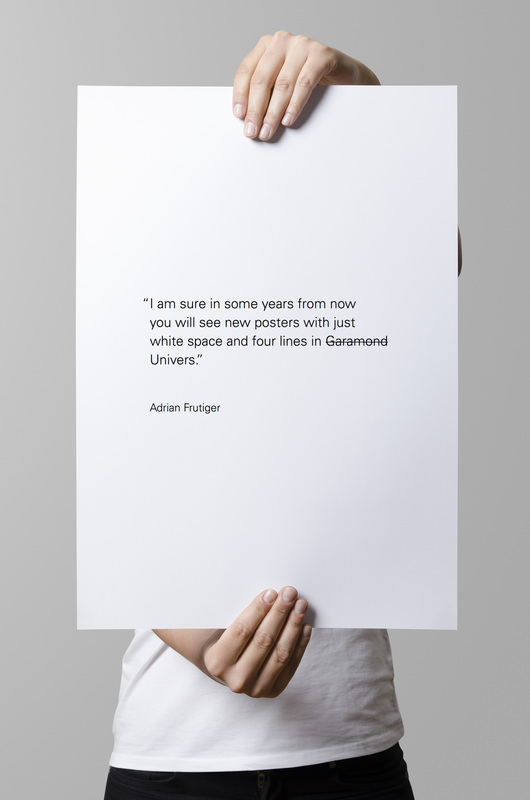 “I am sure in some years from now you will see new posters with just white space and four lines in Garamond.” is a quote of Adrian Frutiger. We put a line through “Garamond” and replace it by “Frutiger”. The four lines are in Frutiger. 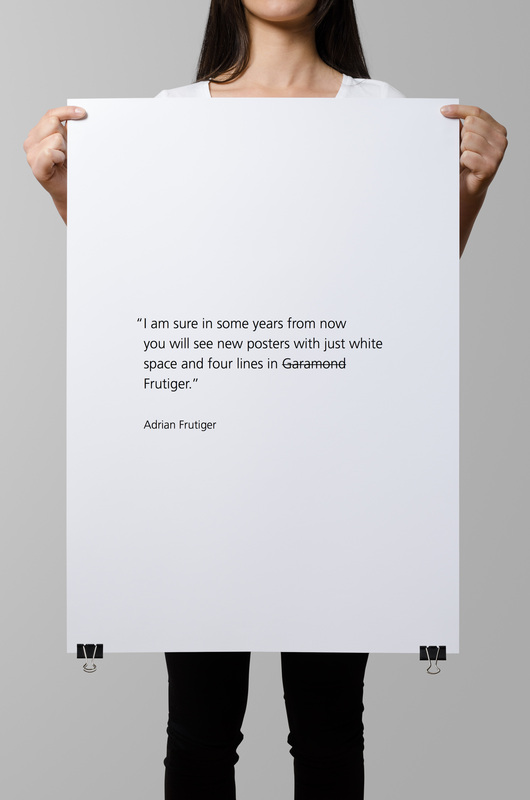 “I am sure in some years from now you will see new posters with just white space and four lines in Garamond.” is a quote of Adrian Frutiger. We put a line through “Garamond” and replace it by “Univers”. The four lines are in Univers.